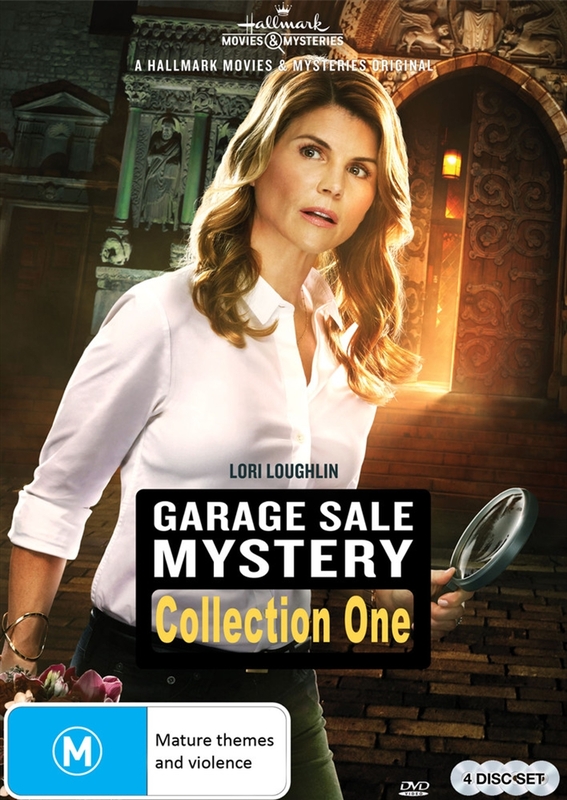 JENNIFER SHANNON loves scouring garage sales to look for items to sell in her resell shop, but when she realizes a series of burglaries and a friend's murder may have a connection to the sales, she not only helps the cops, but does some undercover sleuthing of her own. As she gets closer to the truth, she becomes the murderers next target. Now she must fight for her own survival in order to solve the mystery and bring her friends killer to justice.... This DVD collection features four movies from the hit Hallmark crime/mystery series that has captured fans all over the world. Namely: Garage Sale Mystery 1, All That Glitters, The Deadly Room, The Wedding Dress.